I learned this from Zero Waste Home. She grows loofahs. She went through a phase of gathering moss to use as a toilet paper replacement. It’s quite a book. For years (years!) 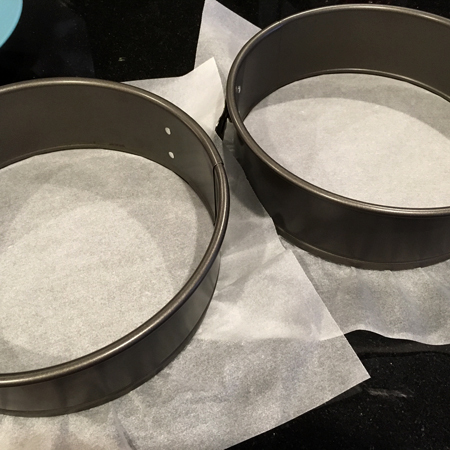 I’ve been cutting careful circles of baking paper to line the bases of my springform cake tins. One day I realised I could just lay a large square of paper (straight off the roll) on the base and snap the springform around it. No cutting required. OMG, the baking paper thing is a revelation to me too! Thanks! My grandma always had a loofah in her bathroom when I was a kid and I was terrified of it because of the texture when it got wet. I thought it was semi-alive. Don’t think I’m quite over it yet. I am pleased it wasn’t just me with baking paper (it often is). It really is transformative. 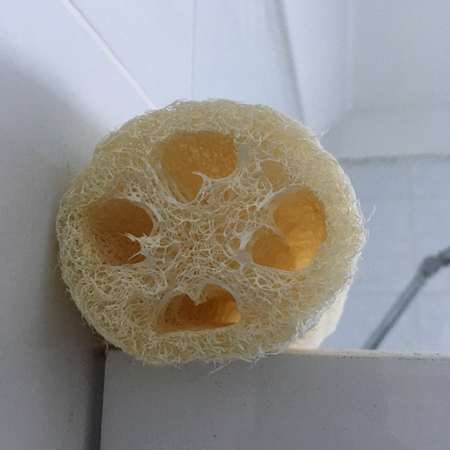 I should probably not tell you that I tossed the loofah into the worm farm to see what would happen – what happened is that the worms decided to make it a little home and fill all the holes – it’s like something from a horror film! Gaaaah! The stuff of nightmares!